Loving some rhythm games? 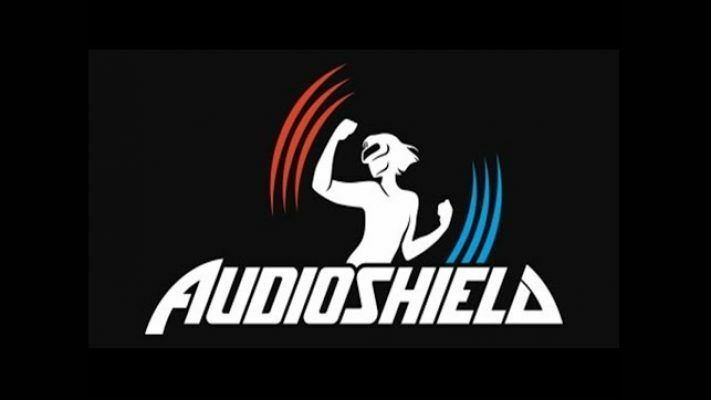 How about in VR where you can literally move your entire body for a full workout, then you should try Audioshield. Block those orbs with same colored shields to score. Audioshield is a light mood, rhythm oriented game that let’s you play your favorite songs while blocking orbs with your shield. You will be playing in a first person point of view with a blue shield on your left hand and a red shield on the other. When the music starts, depending on the difficulty and rhythm of the song, orbs will come firing directly right at you and you would have to block them with same colored shield. If the orb is purple then you would have to block it using both blue and red shields. This is one, highly recommended game for all HTC Vive owners. It’s a good workout too. 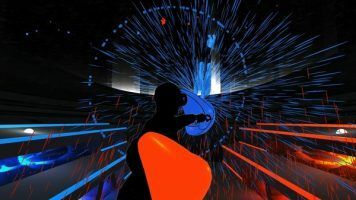 Audioshield is a great immersive game that makes you actually feel your chosen songs. These songs can be pulled out directly from SoundCloud or from your local drives. In terms of new players, or newbies, the game gives a very soft introduction to the mechanics of the game with widely modulated difficulty options. Pro rhythm gamers won’t be bored either with extremely challenging pacing and speed will challenge them including the new VR mechanics and good graphics for pixel peepers. Overall, a very good way to make you feel at home with your HTC Vive and will surely be one of the best VR games yet. First, the interface is not that good to start with. Giving users limited options on where to pull out songs is not great. Soundcloud is a great song repository but the ability to integrate your Spotify or Google Play Music to your gaming experience would be nice. And these are the songs you are most familiar with. Back to the interface, it lacks essential song information like song length. This is important for this game because longer songs tend to load longer, and some people won’t play their hearts out to a 10-trance music. We got some more virtual reality games in our VR Games section.